This helps teams answer important questions, such as: "Can we commit to this project and still hit our Q2 goals?" or “What impact does our recent increased velocity have on launching our latest major feature by June 30th?" 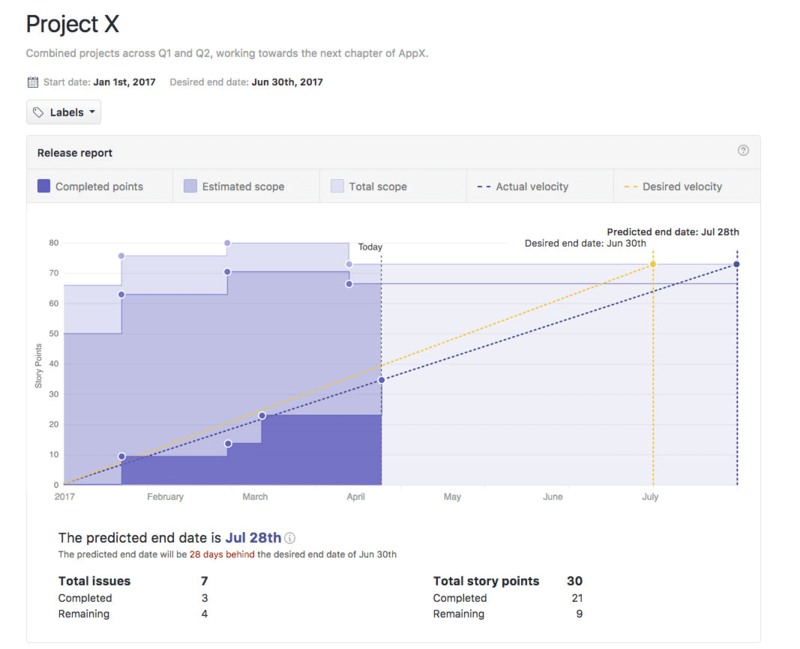 As scope changes, the Release report dynamically updates to provide predictions around end dates based on the information your team is already putting inside GitHub Issues. 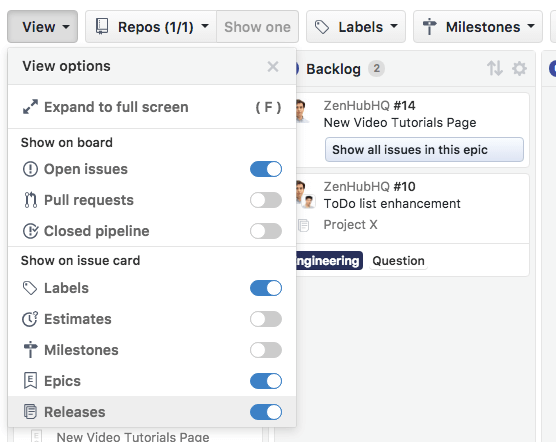 Read through our complete documentation guides located here to learn more about Release planning with ZenHub. Head to the Release report tab to create your first report. If a ZenHub Board is made up of multiple repositories, when 1 of these repositories is added to the release, the report will automatically appear in all connected repositories. Now that you have your first Release, head to our complete documentation guides located here to learn more about the different layers of the report, how changes in scope impact the Release, how predicted end dates dynamically get calculated as your team completes issues, and more best practices for planning work using Releases. You can now select-all on the Board after filtering to make en-bulk updates. This allows you to enter multi-select faster and make bulk-changes more efficiently. Note! Select-all will only allow for the selection of 50 issues at a time. If a filter has more than 50 issues associated with it, you'll have to leverage the existing multi-action functionality of manually selecting the relevant issues. 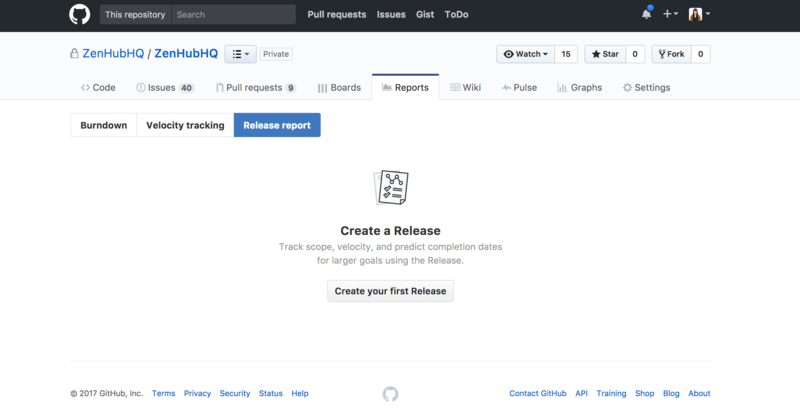 With the introduction of Release reports, you can now choose to hide the Releases for issue cards.